When the Red Cross launched the Home Fire Preparedness Campaign, our initial goal was to install 1,000 smoke alarms within the first year. 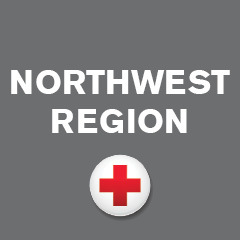 In October, Red Cross volunteers and staff blew past that target with a broad event that landed 560 installations in different locations across Washington State. “Mission accomplished, we had a goal and we beat it,” said Allison Dedonato, Regional Preparedness Manager. She added, “Red Crossers blew all expectations out of the water with 138 installations in Yakima alone.” She cited the hard work and coordination expertise of Colleen Riley, Disaster Program Specialist who mobilized 30 volunteers from the Red Cross serving Central and Southern Washington, Yakima alone. Other events on the same day took place in Kent, Tacoma, Auburn, Everett, Marysville and Darrington. Each day across the country, seven people lose their lives in a home fire. The Red Cross has embarked on a national five-year initiative to reduce this figure by 25 percent. Working with local fire departments, volunteers are not only installing free fire alarms, they assisting families and residents to develop an escape plan should a home fire break out. As of September 30th, the Home Fire Campaign nation-wide has saved 27 lives – a result of 147,987 alarms installed, 72,383 homes visited and 199,989 people served.